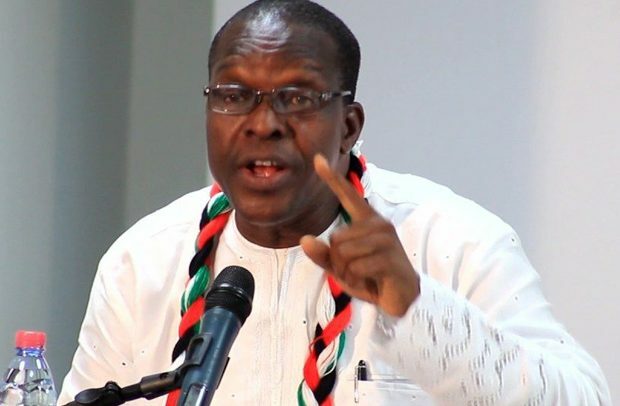 The ‘war of words’ that has ensued between the camps of former President John Mahama and the presidential hopeful of the National Democratic Congress (NDC), Alban Sumana Kingsford Bagbin, is getting intense. Mr. Bagbin, who is the Second Deputy Speaker of Parliament and Member of Parliament (MP) for Nadowli Kaleo in the Upper West Region, has ‘fired’ again, accusing former President Mahama of appointing unqualified individuals to head sensitive positions during his tenure. He specifically mentioned colleague MP for North Tongu, Samuel Okudzeto-Ablakwa, and Dr Edward Omane Boamah, as some people who were not fit to be selected for ministerial positions. He told NDC delegates in the Volta Region last week that Okudzeto-Ablakwa, then Deputy Education Minister in charge of Tertiary, had ‘problems’ before he got his certificate from the university while Dr. Edward Kofi Omane Boamah was a ‘stammerer,’ who should not have been the Communications Minister. “We had very good materials in our last government but the placement was wrong. Look at my son-in-law Ablakwa -brilliant handsome young man but he had problems before he got his certificate at Legon. You recall they almost rusticated him,” Mr. Bagbin fired. Turning his attention to the former Communications Minister, Mr Bagbin described Dr Omane Boamah as “an intelligent young man” but said his appointment was misplaced. The former minister did not attack Mr. Bagbin but urged him to stop the insults. However, as at press time, it was unclear if Okudzeto Ablakwa’s attention had been drawn to the supposed comments by Mr. Bagbin. Already, Mr. Bagbin has come under intense attacks from elements like National Organizer Kofi Adams for daring to criticize former President John Dramani Mahama. The 2016 Campaign Coordinator for Mahama’s failed second term bid said Mr. Bagbin has set out to destroy the NDC and not lead it. Recently, an NDC group calling itself ‘Social Democratic Forum’ attacked leading party members from the Volta Region for undermining the former President John Mahama’s comeback. When the group issued its first statement to criticize some NDC stalwarts from the Volta Region, including the party’s founder JJ Rawlings, the office of Mr Mahama dissociated itself from the statement but did not condemn it for being openly ethnocentric.